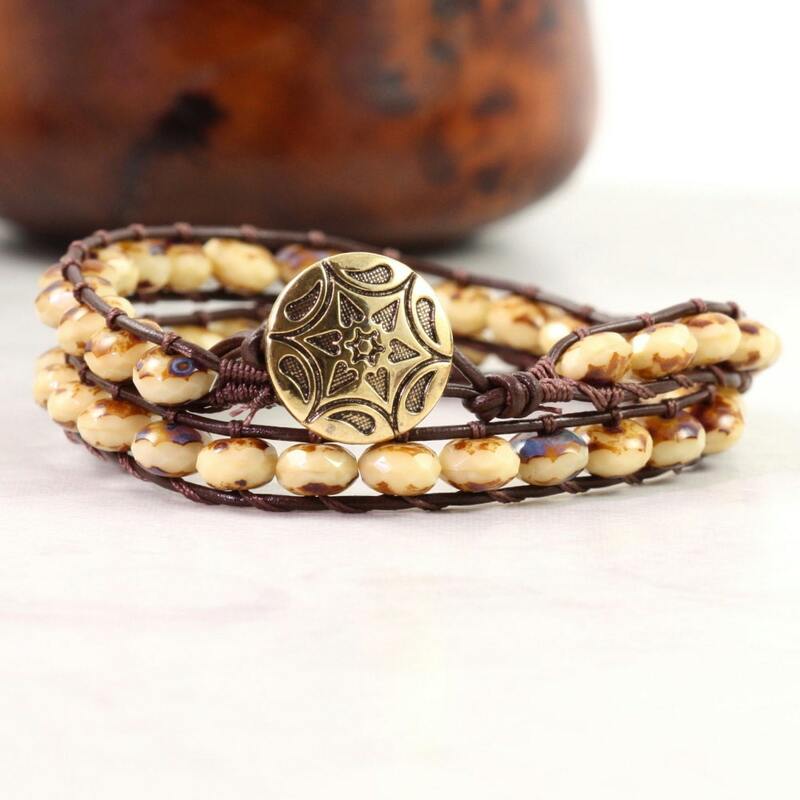 Woven together with faceted Czech glass rondelles (4 x 6mm) in warm shades of deep brown and creamy beige. Made with brown leather cord. I used a gold star button to complete this fantastic bohemian look. This bracelet has three loop closures which measure 13, 14, 15 inches. Please contact me if you'd like a different length made just for you.